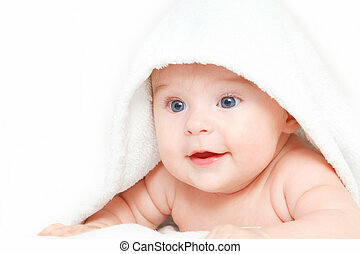 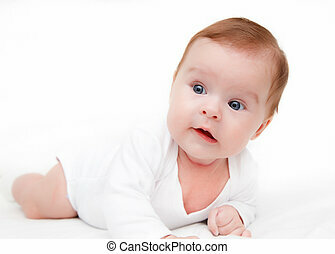 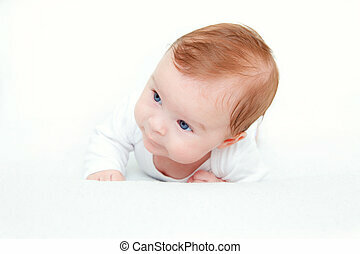 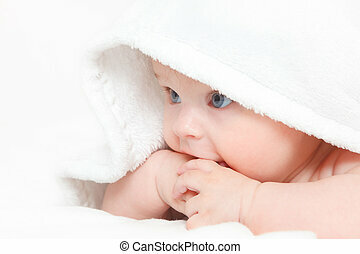 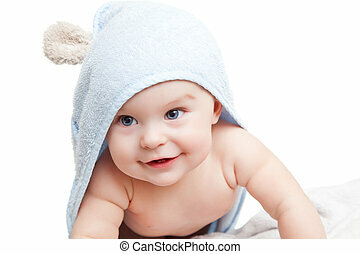 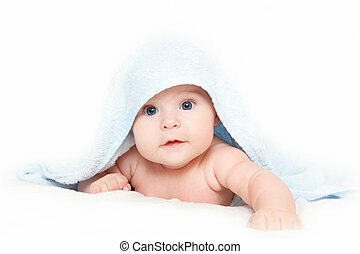 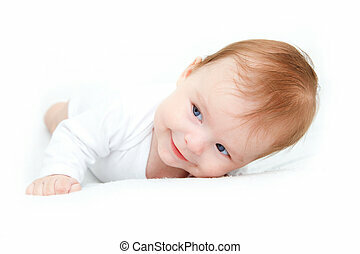 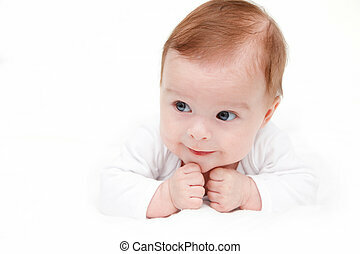 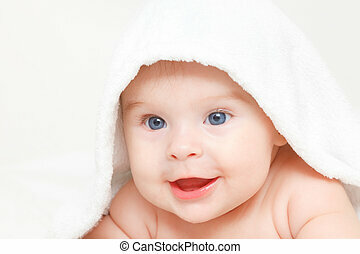 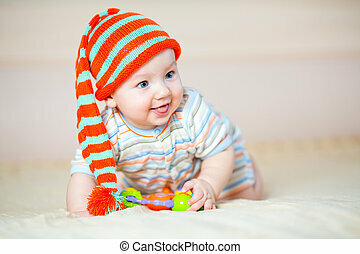 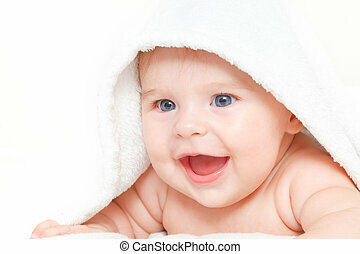 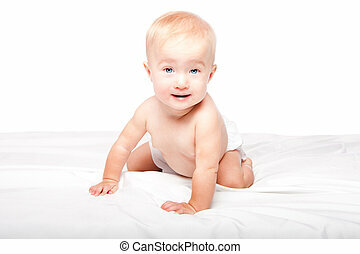 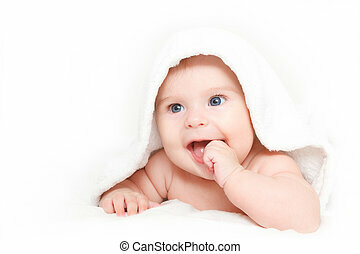 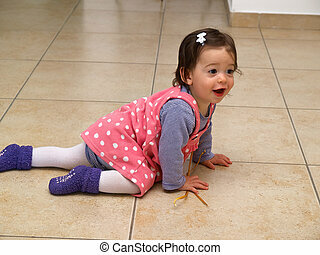 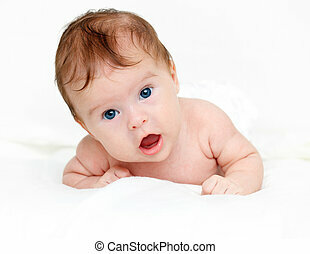 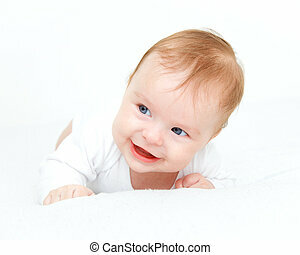 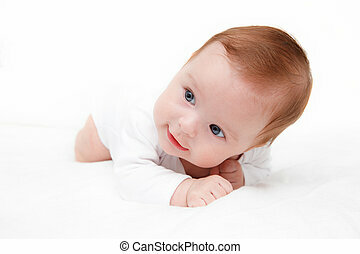 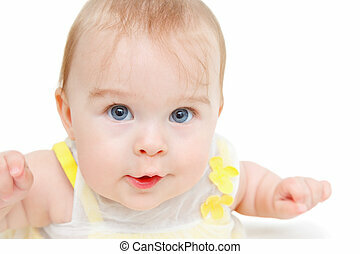 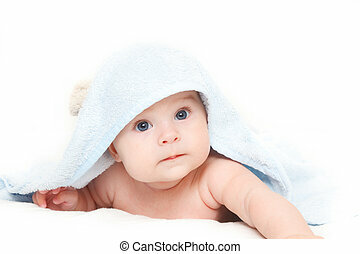 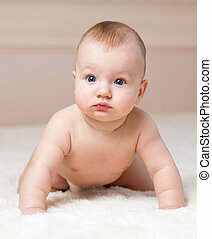 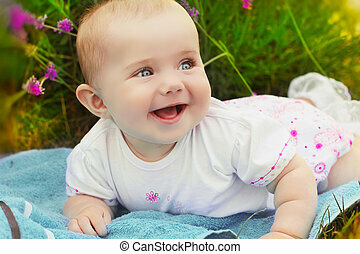 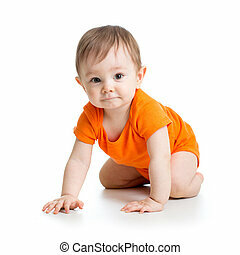 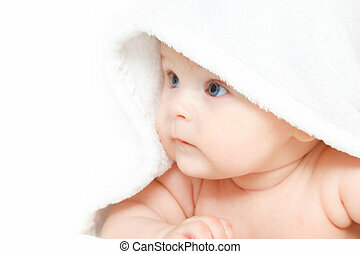 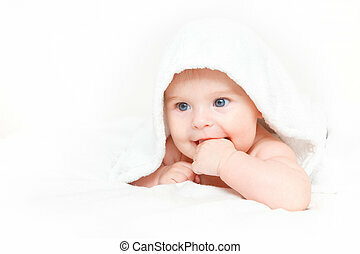 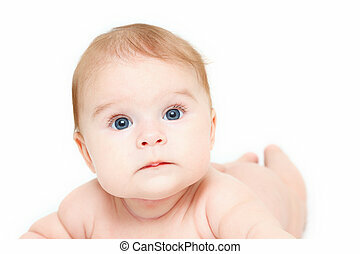 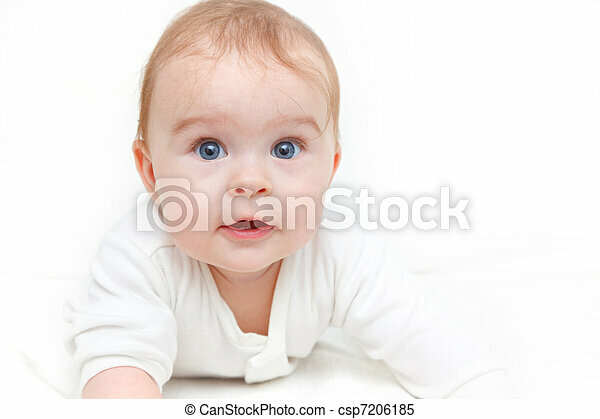 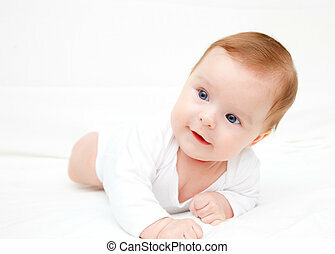 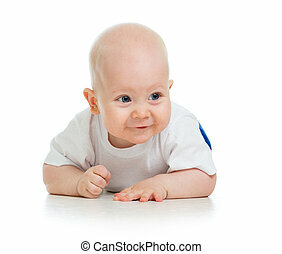 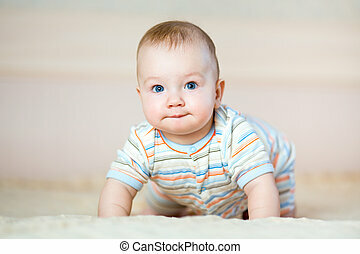 Cute adorable happy crawling baby infant with blue eyes in diapers, on white. 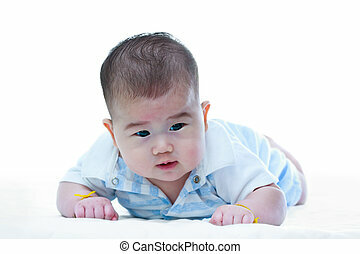 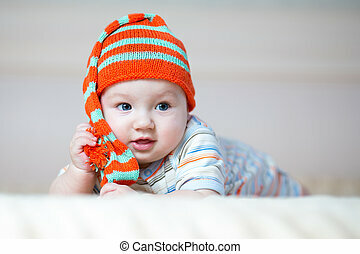 Portrait of cute asian baby. 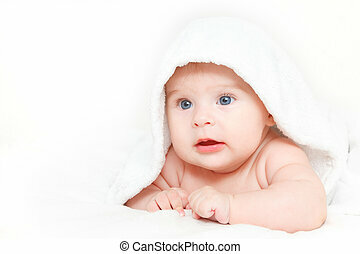 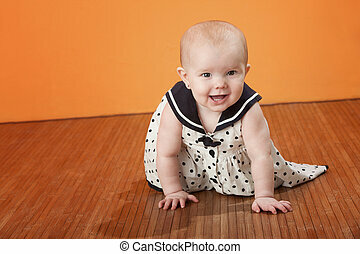 A four months adorable crawling baby girl, on white background. 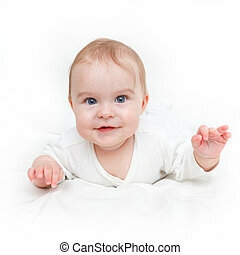 Studio shot.